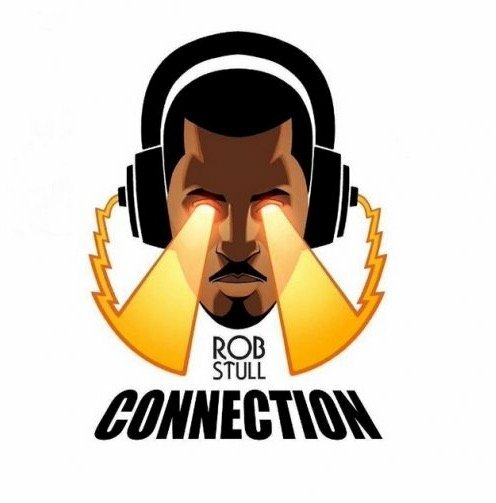 Rob Stull is a big deal in the black comic book circuit, but he should be an even bigger deal. 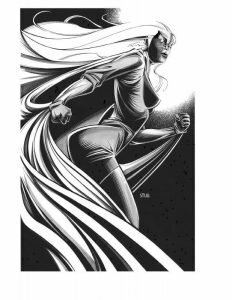 He’s worked for Marvel and DC–brands he refers to as the “The Big Two”—and he’s worked for a handful of smaller, arguably more authentic publishers like Dark Horse, Dreamwave, and a few other independents. 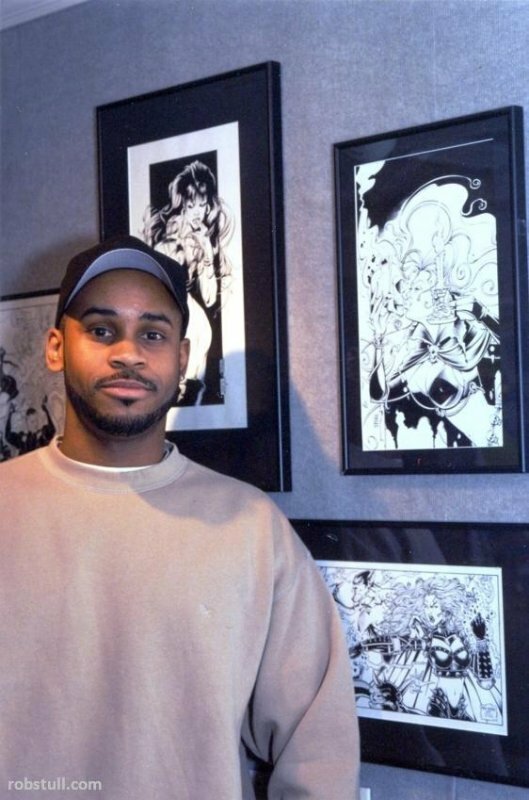 His body of work is a cross section of subcultural art forms woven into a veritable loom that encompasses comics, hip hop music, graffiti, clothing, and urban advertising. A professional interviewee, I was certain Stull would spot my angle easier than a sluggish haboob rolling across the Arizona desert, but I proceeded anyway. 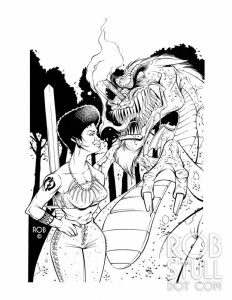 When I did, I got the Boston-born illustrator to spill the ink about the comic book industry, how he truly feels about Afrofuturism, and what he doesn’t want to see women wear to bed. Stull also gave a breakdown on the ways his success is two-thirds natural talent, and a one-third mix of unequivocal grit and drive. Since Stull’s been interviewed dozens of times, I approached the endeavor in earnest. I was hoping to find an unexposed angle of him to share with the world, but I started off in a way that I knew wouldn’t leave him blindsided. After digitally thumbing through his portfolio of work, we talked about how he got his start. “On your site, there’s a picture of you as a small kid seated at a desk, drawing. It looks like you started out really young. Can you tell me about that?” I braced myself for Stull’s reply, which I figured would be laden with ad-hoc, verbatim snippets from his site bio, rehearsed and without flaw. Instead, Stull paused for just a moment. 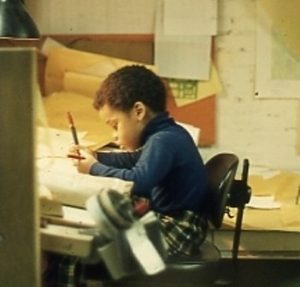 As Stull spoke, I thought about the type of kids that would look at comic books and dissect them in that way, and self-teach themselves the process of publishing. Then, I thought back to what I focused on when I was reading comic books. I can recall reading read X-Men as a kid and quietly hoping that puberty hit my body the way it’d hit Rogue’s and Storm’s, but that’s about it. Stull and his friends must’ve been a sophisticated bunch. They were also an entrepreneurial bunch. “We’d sell them to our classmates—but we kept that on the low,” Stull said with a hearty laugh. I switched gears a little. 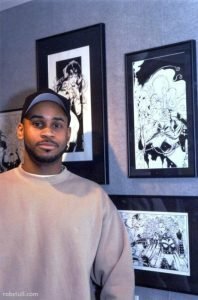 “So you told me about your start, and you obviously took to drawing and creating early in life, but I still feel like you watched cartoons in the midst of all this,” I waded into the first part of my two-part question. “Yeah. I’m sure I did. Honestly, I can’t even really recall what I watched when I was a kid, but I know I watched whatever was on, “ Stull responded rather coolly. “Footie pajamas. The onesie kind that zips up the front and has the feet attached,” for a moment I heard dead silence. I held my breath and tried to discern if Stull had hung up on me. Finally, I heard a long sigh. It was the type of sigh one releases when settling deep into a plush leather chair. I couldn’t discern whether that was good or bad, though, so each second I spent awaiting his answer forced me to wonder if I’d funneled the interview into something abysmal. “I’m going to say I probably did,” Stull said finally, much to my surprise. “I don’t particularly remember, but it seems like something I would’ve worn for Saturday morning cartoons,” he chuckled, and I allowed myself breathe normally. Chuck D of Public Enemy and Spike Lee. He even worked with Camp Lo and produced cover art for a project a few years back. I resisted the urge to whistle the introductory horn sample from their ‘90s mega-hit, Luchini, and asked Stull if he’d advise young artists to focus more on the loot, or the love of their art. “I remember I was fresh out of art school—which was expensive– and looking for work. I had some friends who were already illustrating, doing some pretty decent gigs and making money. I wanted to do it too, but for me, it’s like I said before. I knew I always needed that cushion to fall back on, so I’d decided to apply for a few ad firms. “So what did you do?” I really didn’t know. I browsed my notes but Stull’s reply was quicker than my paper-shuffling.